The Institute of Auctioneers and Appraisers in Scotland has a long and proud heritage representing the interests of livestock markets, valuers and auctioneers across Scotland since 1926. We currently have 23 corporate members and 185 individual members. For over 90 years our members have been involved in the marketing of livestock mainly through the ring and also on an agency basis acting as brokers for farm entitlements, feedstuffs and other goods. They undertake land sales and valuations, act as valuers of livestock, farm equipment and compensation claims. Some of our members conduct sales of antiques, collectables and specialist auctions. The IAAS marked its 90th anniversary in 2016 with a lunch for past presidents and honorary members. 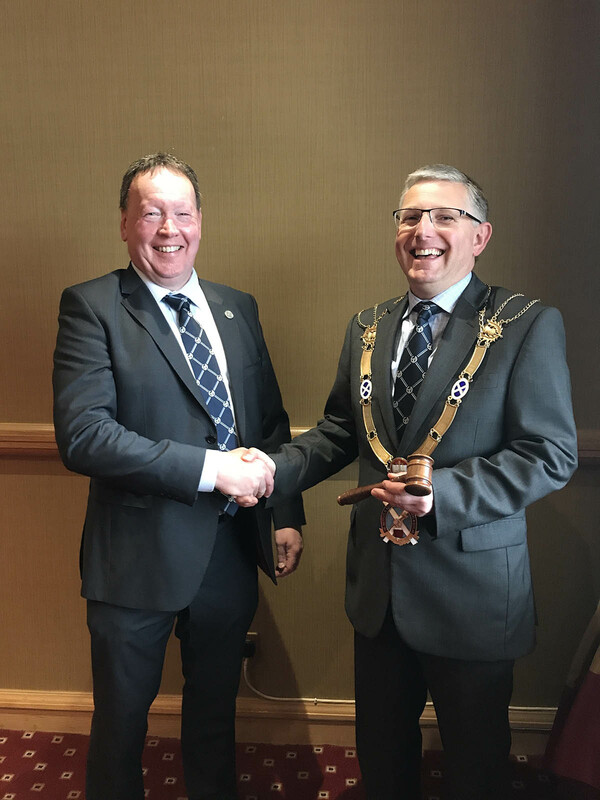 Past President and Honorary member John A Thomson toasted the Institute and gave a interesting and humorous speech recalling events in the past and stressing the importance of the livestock auction system for all livestock producers throughout Scotland. Ring of Memories written by John A Thomson is a fascinating story blending historical fact and reminiscences of characters from the past, telling the story of the development of the auction system and the people who operated it and used it. In Scotland, 220 marts have operated at one time or another over the past 200 years. John A Thomson spent 55 years as a livestock auctioneer with Thomson Roddick and Laurie founded in 1880.